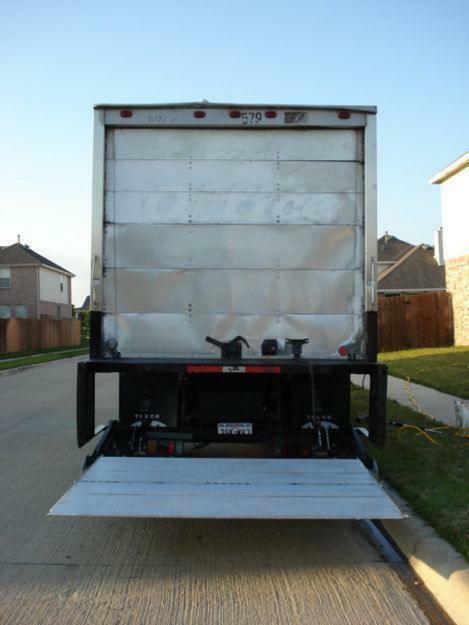 Using a Liftgate Makes Unloading Bulk T-Shirts Easier. When you order bulk t-shirts online, your shipping charges are calculated using the weight of your shipment and your destination zip code. If the total weight of your order is less than 500 lbs., your order will be shipped using UPS Ground. If the weight of your order exceeds 500 lbs., we will ship your order to you on a pallet, using a trucking company. We do this in order to save our wholesale t-shirt customers money! When the truck arrives at your location, the truck driver will assess whether or not a lift gate is necessary to make the delivery. A lift gate is a device on the back of a vehicle that operates by mechanically raising during loading and unloading of goods. It is ideal for heavy bulk t-shirts deliveries to residential areas, as well as commercial areas. Freight carriers often charge a small accessorial fee to use them, however, the lift gate is very beneficial in making your delivery as quick and easy as possible!